Howdy howdy. You might think that "Yay! DW is in his home and will start writing about his plants again." No, I'm not! I'm still on holiday on the other side of Finland in Alavus. It has been just so peaceful in here so I took a bike and cycled around the countryside. Now here's the lucky part, I was cycling in the woods and suddenly I saw a swamp and went to see it closer just for fun. 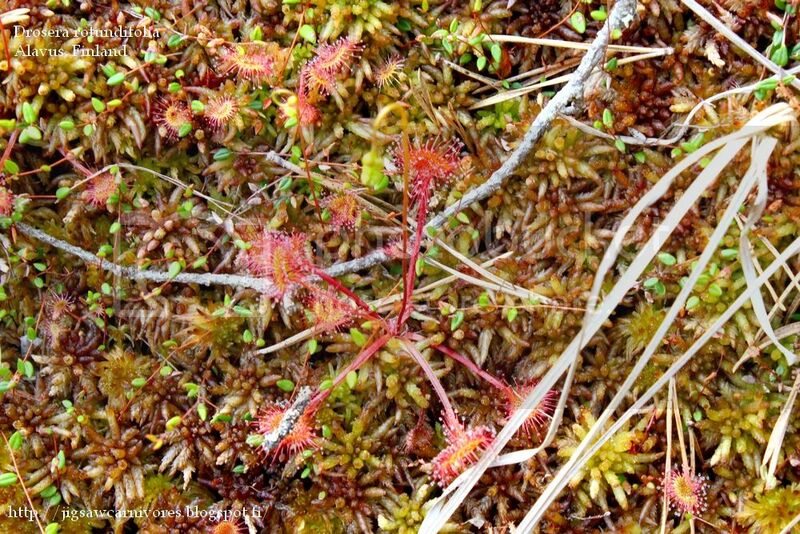 Well you happen to have one dam lucky author here, because there were hundreds of Drosera rotundifolia growing on this swamp. The sphagnum was pretty dense compared to most of the swamps I've been to and it only pressed down few centimeters under my feet. The diversity in this population is pretty good for just being few hundred plants. There were mostly youngish I'd say 2-3 years old plants with a diameter about 5 cm (2"). 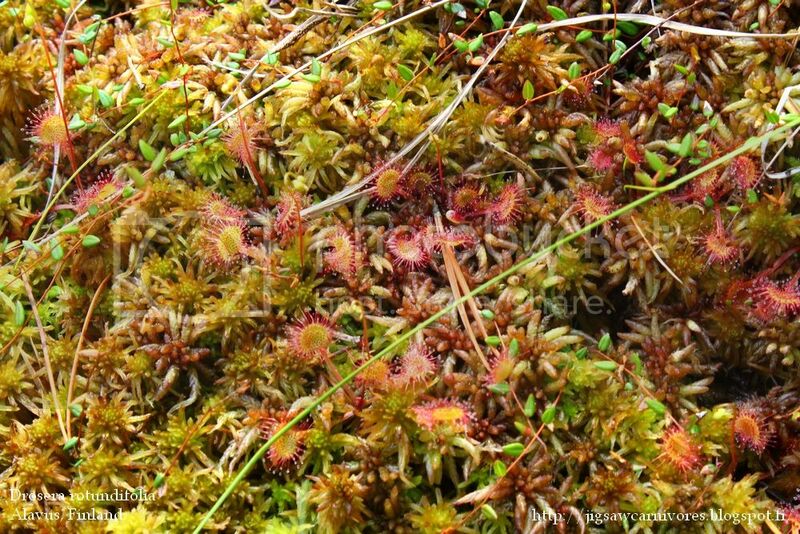 They grew on sphagnum and most of them had erect leaves. The plant in the following picture is about 9 cm (3.5") in diameter and the leaves have a nice nice upward curve. 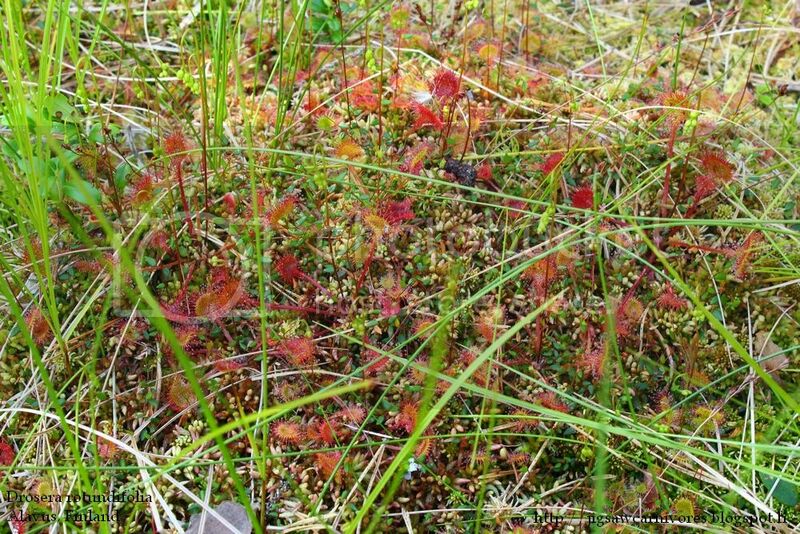 The plants had in general a very rich red coloration and as you can see most of the sundews there are soon ready to bloom. I mus consider returning there few days later to see how's the flowering. These are really the biggest sundews I've ever seen in the nature but I've seen about three or four populations. One of the populations I've seen grows on sand and I hope that I'll be able to travel there during this summer. The third population I've seen is in Finnish Lapland but I don't remember much about it. And yes, I had to look if there were some birds too. 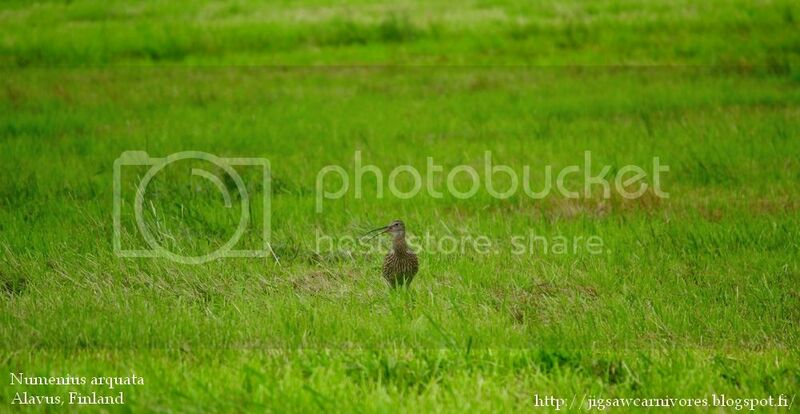 In nearby fields I saw Numenius arquata or Eurasian Curlew which happens to be Finland's largest wader. Now that's all for a while. As soon as I get home it will be time to order some new plants and try a new web shop. After my N. 'Rebecca Soper' died it left a large empty spot in my main terraria, and that one spot needs to be filled. But hey, one reader's wish has come true. 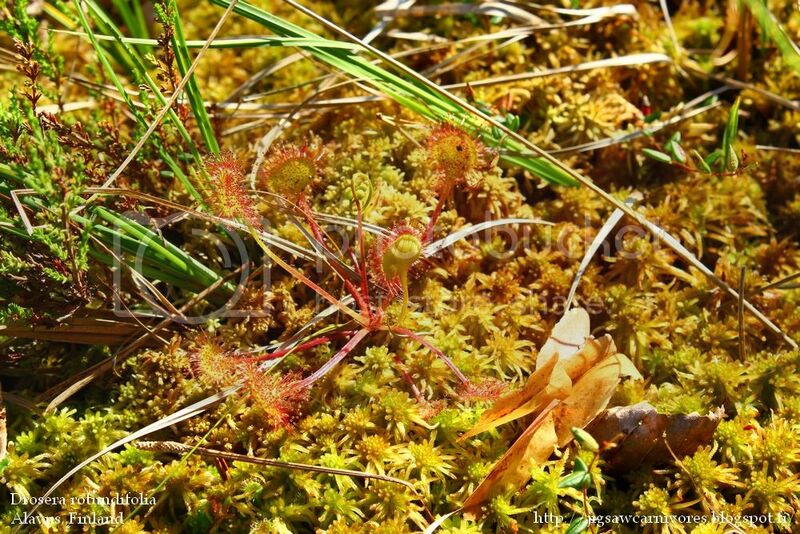 This is how the sundews grow in Finnish nature. If you have something you would like me to write more about then please leave a comment or send me e-mail to kihokki01[at]gmail.com and I'll try to work it out somehow. Now it is getting tan and all summery stuff for me. Got to go but see you later! 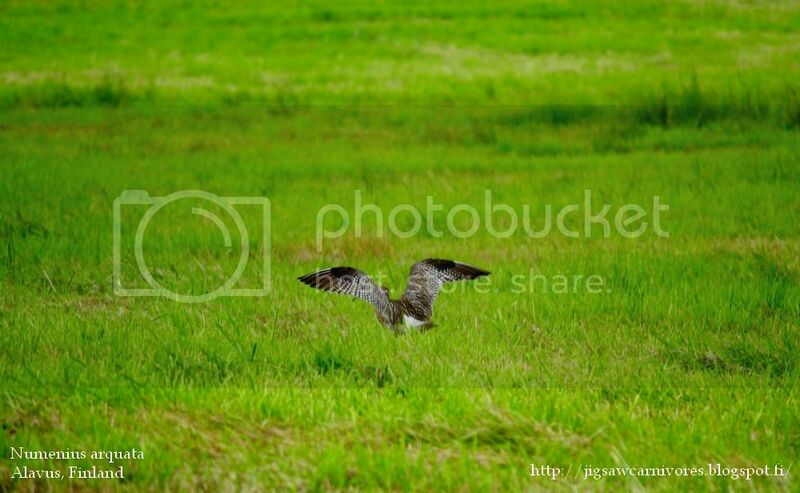 I have enjoyed looking around your blog.